John Parker, who runs Skywalkers Bar & Grille in Machias with his wife Danielle, is stepping into the craft beer business in a region where that industry has not yet taken off. 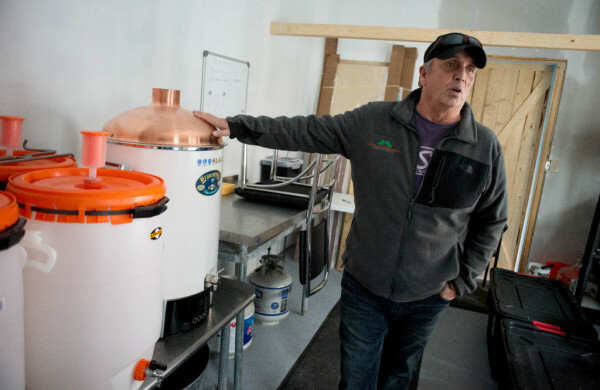 Parker’s nano brewery, Machias River Brewing Co., is scheduled to open in March. John Parker, who runs Skywalkers Bar & Grille in Machias with his wife Danielle, is stepping into the craft beer business in a region where that industry has not yet taken off. Parker’s nano brewery, Machias River Brewing Co., is scheduled to open in March and will offer three different brews. 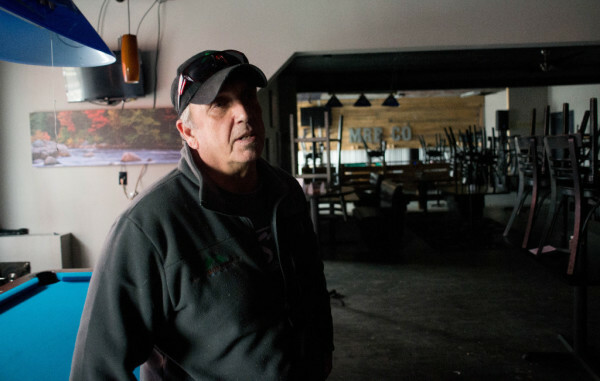 MACHIAS, Maine — A local bar is stepping into the craft beer business in a region where the industry hasn’t taken off as it has in other parts of the state. “We’re in the process of rebranding,” according to John Parker, who runs Skywalker’s Bar and Grille in Machias along with his wife, Danielle. That rebranding will create a new nano brewery, Machias River Brewing Co., which may be one of the state’s smallest breweries when it opens in March. 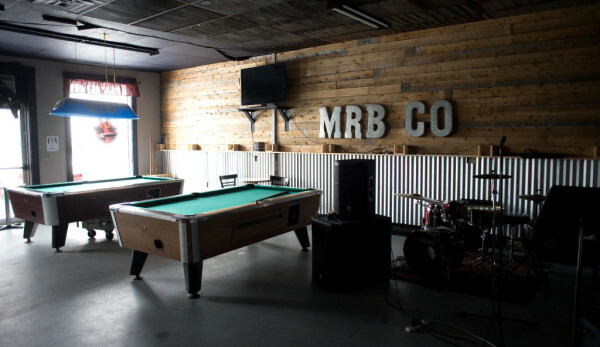 Parker built a small red shed in front of the bar to house the brewery operation, which consists of a 50-liter, all-in-one electric brewing system and a half-dozen 60-liter barrels. Each batch produces enough to fill about two kegs. With such a limited capacity, Parker said the brewery will feed three taps inside his restaurant, giving customers and people passing through town a place to sample local brews. “We’re really passionate about the river, and wanted to tie it in with our business,” Parker said. The starting lineup of beers are named after the tributaries of the Machias River: Mopang IPA, Crooked River Dark and Old Stream Pale Ale. 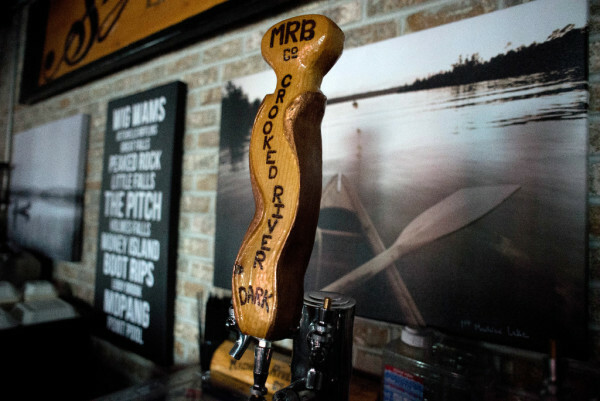 Machias River Brewing will stick primarily with “easy-drinking” beers and likely will stay away from hoppy and high-alcohol content beers. Machias River’s closest competition is in Lubec, about 40 minutes east on the Canadian border. Maine was home to about 90 breweries as of the end of 2016, according to the Maine Brewers’ Guild. Machias River Brewing will be the second brewery in Washington County. Back in 2015, the Parkers were partnered with homebrewer Matthew Gardner and his wife, Iyisa, to launch the nano brewery, but the plans were set aside after that partnership fell apart, Parker said. The Parkers even discussed selling the shed they’d just built. Parker later decided to push forward with the brewery on his own. He had no homebrewing experience, so he started reading and speaking with other brewers about the process. He started making his own batches of beer and sharing them with friends. “I was kind of bitten by the bug,” Parker said. Now he’s obtained the needed licenses and is preparing to scale up his beer-making to supply the 50-seat restaurant and bar. The business has been in the midst of renovations to match its new identity. A century-old Old Town canoe hangs over the bar, which will soon feature a map of the Machias River on the new bar top. If locals still want to call them Skywalker’s, the owners won’t take issue with that, John Parker said. “Out here we don’t have a lot of craft beer right now, so I’m looking forward to giving people a few more options,” Parker said.